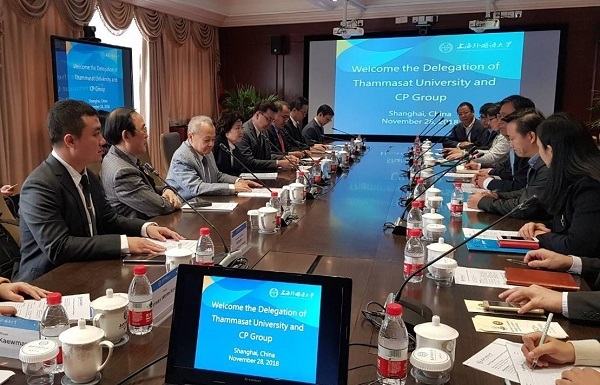 On 28 November 2018 - Rector Gasinee Witoonchart of Thammasat University and Vice Rector for International Affairs, Assoc. 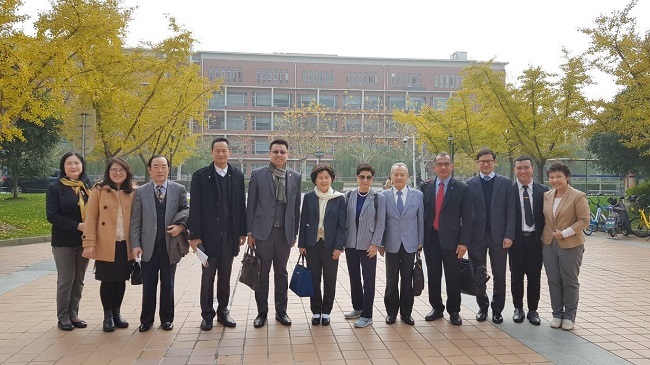 Prof. Dr. Kitti Prasirtsuk, together with some other Thammasat University executives and Assistant Professor Dr. Siriwan Worachaiyuth, Head of the Thai Department and Eastern Asia Languages and Cultures, visited Shanghai Jiao Tong University (SJTU) and Shanghai International Studies (SISU) to discuss possibilities of student and staff exchange with the two universities. The Faculty of Liberal Arts will encourage its students to join future summer programs with credits and welcome Shanghai Jiao Tong University’s students through TU’s existing exchange programs. For collaborations with SISU, TU will initiate short-course programs or one-semester visit with credits. With over 17 years of relations, TU and SISU will establish joint Chinese language programs in the near future.